Jettison those stereotypical notions about genteel Southern belles, because although Marilyn Norry may not be the “little woman of great but confused vitality” Tennessee Williams had in mind when he wrote The Glass Menagerie, she definitely gives a statuesque and picturesque portrayal of Amanda Wingfield. Make no mistake about it, either. Ms. Norry makes nary a misstep in her calculated characterization. Her casual conversational style easily and disarmingly disturbs the even tenor of the family dynamic, whether she is impaling her fragile daughter Laura on the poniard of her own insecurities, or driving a permanent wedge between her son Tom and the rest of the family. Ms. Norry does a brilliant job of bringing Amanda to life. She plays this complex and multi-layered character with a strong command of her Southern accent and a forceful style that is as precise as it is potent. 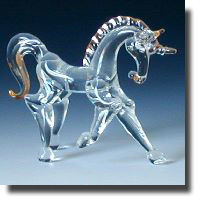 The Glass Menagerie is, as its title suggests, an examination of a fragile family. The matriarch is clinging frantically to another time and place. And then the lights go out. If power outages may seem to be an anachronism in an age of gentleman callers, Amanda’s daughter Laura ends up more in the dark than her mother about what to do with the boy her brother Tom brings over for dinner. As she has done so many times before, Amanda blames her son Tom for the unexpected disclosure his friend Jim O’Connor makes to Laura. Tom’s mother Amanda tells Tom he is living an illusion. Ironically, that metaphor applies more aptly to both women in the Wingfield family than it does to Tom. But it has a striking effect on the boy, bringing a tragic end to this captivating play. Christine Quintana manages to convey Laura Wingfield’s touching frailty with poise, dignity and even an air of elegance. The audience cannot help but be moved by her convincing characterization of a crippled young woman whose insecurities are aggravated even more because of her mother’s overbearing nature. 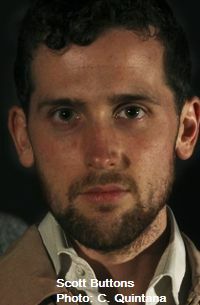 Graeme McComb manages to play Jim O’Connor as a young man who is both sensitive and ego-centric. Scott Button is entirely convincing in the role of the narrator and son Tom Wingfield. He invests his character with a relentless energy, creating a volatile dynamic with Ms. Norry in the often tumultuous, yet occasionally tender moments shared by mother and son.